I honestly had a different plan for this week’s lore entry, but Assassin’s Creed Odyssey quickly changed my mind. Within the first few minutes of the game (this is not a spoiler, I swear), one Dr. Victoria Bibeau reared her head. Since I never finished Assassin’s Creed Origins (something to do with reviews and new shiny games or something), I didn’t know she made an appearance there. I have to say I was not expecting characters from the books to pop up in the games. For one, no one really cares about the present-day plot, no matter how much Ubisoft REALLY does. Secondly, the current plot of the books is, to be frank, quite bonkers. Dr. Bibeau first appeared at the very end of Assassin’s Creed: Last Descendants. This trilogy centers on a group of kids whose DNA all intersects in specific moments in history. Some have Assassin ancestors and some have Templar. Some have both. Abstergo is using them to find all three pieces of the Trident, another Piece of Eden. In the first book, all of the kids were together, using stolen Animus systems from Abstergo, run by a former employee who has decided he hates both sides. He wants to use the kids to find the Pieces and ensure neither group gets them. At the end, some of the kids are picked up by an Assassin, Griffin, and others were rounded up by Abstergo. The psychiatrist who is now in charge of these kids’ welfare and Animus excursions is Dr. Bibeau. Last Descendants may have been her first appearance, but it’s Assassin’s Creed Heresy where she takes the stage as a main character. Heresy published just a few months after Last Descendants, but it’s clear that its events take place before LD. At the very beginning of Heresy, our protagonist, Simon Hathaway, is undergoing his initiation into the Templar Inner Sanctum. The initiation also includes a huge promotion within the company to the Head of Abstergo Historical Research Division. In other words, this is where Abstergo hooks people up to the Animus to find Pieces of Eden for them. Abstergo has done things the same way for some time, and none much came to fruition. First, there was the tragedy of Subject 16, and then there was Desmond Miles. Simon points out that they’re doing the very definition of insanity, and he wants to shake things up. For starters, he thinks it’s better if Templars use the Animus instead of random people, because Templars know exactly what they’re looking for. 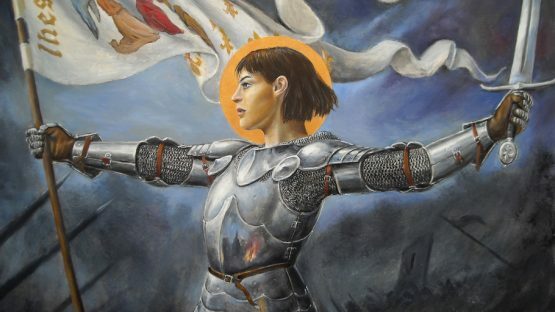 As such, he volunteers to put himself in the Animus, because one of his ancestors fought alongside Joan of Arc. He has reason to believe that Joan’s legendary sword was actually a Piece of Eden. The sword is why she won all of her battles. Simon further claims that because she lost the sword in the battle near Compiégne, that is why an archer was able to take her down and allow her to be captured. His higher ups allow it, but he has a tight deadline of providing concrete and valuable results in one week. That requires a bunch of Animus cram time, and both Simon and Abstergo know it. Both also know the health risks that come along with Animus cramming. Simon is willing to risk it for the sake of his job, and Abstergo doesn’t really care one way or another. Abstergo assigns Dr. Victoria Bibeau to look after his welfare while he’s in Animus. She’s also to spy on him and report to the higher-ups in the Inner Sanctum. Ain’t no party like a Templar party, because a Templar party includes spying, distrust, and stabbing one another in the back at every opportunity. It kind of makes piñata time a little awkward. Of course, since the Templars are evil and everyone who plays the games knows this, it’s hardly unsurprising that Simon comes to doubt his mission. To be fair, the Templars at Abstergo pretty much pushed him into not trusting them. Victoria also didn’t do as great of a job at hiding her true mission from him. Also, it doesn’t take a genius to quickly see that something is wrong in Denmark. By the end, Victoria was actively helping Simon stay alive as well as hide crucial knowledge about Joan of Arc and her Piece of Eden. She was able to achieve both, and somehow Simon kept his job in the end. How long Simon will keep his job and his head, however, is anyone’s guess. My guess is not for long. Dr. Bibeau, though, was able to keep both her head and her high position in Abstergo. She may be the best spy out of the whole bunch. I know you probably care about the Assassin’s Creed present-day plot as much as the regular AC fan (like the games, the Joan of Arc bits were ten times more fascinating than Simon’s research project), but now you know the rest of the story. At least you do for Dr. Bibeau, that is.